We've had a very unusually warm spring this year. Our pear trees have bloomed out already and are currently in full leaf mode. This is about a month earlier than usual. Our crabapple trees are in full bloom now. Since today is Easter, and since the kids were already dressed up for Easter service, we decided to grab some pictures of them in front of one of the crabapple trees in the backyard. 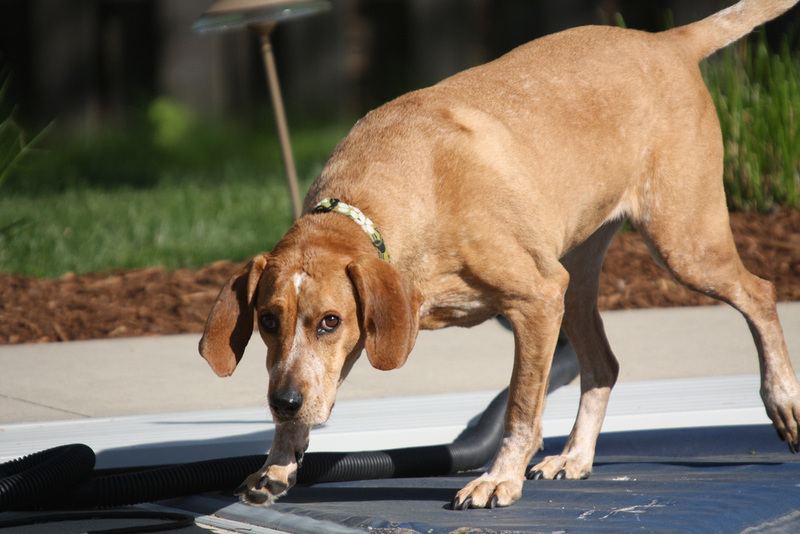 Some pictures are good, some are silly, and a couple are of our only remaining hound, Jill.